As previously covered on the CIVICUS Monitor, the situation in Kashmir remains extremely volatile. As the death toll reaches over 90, and with thousands of civilians injured, the conditions for civic activism in the region are closing rapidly under pressure from the authorities. While protests rage, clashes between protesters and security forces have become a regular occurrence. Indian security forces use tear gas, rubber bullets and even live ammunition with impunity to control crowds. 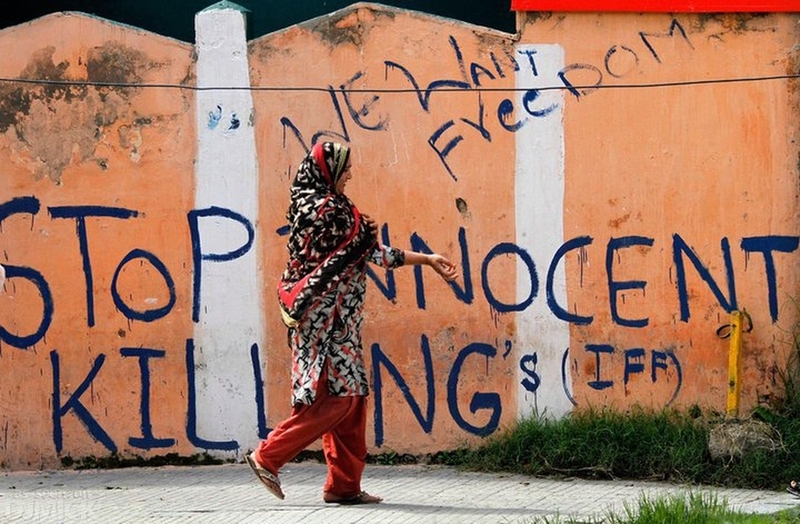 On 8th October, the killing of 12-year-old Kashmiri, Junaid Ahmad, by Indian security placed a global spotlight on the curtailment of civic freedoms in Kashmir. The 12-year-old was critically injured by a pellet round after allegedly participating in an anti-India protest; he later died of his injuries. After crowds gathered to attend the young boy's funeral, tear gas was used by Indian security forces to disrupt the funeral procession. Ahmad's death has become emblematic of a situation where Kashmiri people live under the constant threat of violence, in a toxic environment of mistrust. "The High Commissioner is seriously concerned about the human rights situation in Indian-administered Jammu and Kashmir, as well as the rising tensions between India and Pakistan. We urge India and Pakistan to engage in a dialogue and to de-escalate the situation. The inflammatory remarks on both sides only fuel the tensions and could result in a further deterioration of the human rights situation. We reiterate our call for unfettered and unconditional access to both Indian-administered Jammu and Kashmir and Pakistan-administered Kashmir to enable us to independently and impartially monitor the human rights situation. We stand ready to support efforts to de-escalate the situation." In Gujurat, the momentum of protests by the Dalit community has grown further since the last update on the CIVICUS Monitor.On 1st October activists and community members threatened to block railways in a "railway roko". However, in an apparent response to the vigour of the movement, government officials agreed to talks with Dalit community leader Jignesh Mevani, in return for him calling off the planned protest. Violent protests have also erupted between residents of Tamil Nadu and Karnataka. The Cauvery river water sharing arrangement, as directed by the Supreme Court of India, requires that the state of Karnataka releases water to its neighbouring state. The demonstrations, which started as blockades and sit-ins, quickly reignited a decades-old resource conflict. On 12th September, protesters clashed with security forces in Bengaluru's Rajgopalnagar area after a mobs burnt any vehicles with Tamil-Nadu number plates. Over 15,000 security personnel were quickly deployed to the area, and one protester was killed after security forces opened fire on protesters. Finally, in late August, the city of Jharkhand also witnessed mass protests against land acquisition by extractive companies. Locals mobilised to draw attention to the lack of compensation for people who had been displaced as a result of mining operations. On 29th August, security forces opened fire on the protesters killing two and leaving twenty injured. In a positive development, The Supreme Court of India recently warned of the increased usage of sedition laws, by observing that criticism of the government does not automatically equate to sedition. The Supreme Court directed all state authorities to come under the Kedar Nath ruling which restricts the application of law unless there is incitement to violence or intention to create public disorder. In a separate incident, the Indian authorities placed a travel ban on prominent Kashmiri human rights activist, Khurram Pervez. He was prevented from boarding a flight bound for United Nations Human Rights Council meeting in Geneva and was subsequently detained.